Time to make a decision regarding strength training. Why? Because the benefits of resistance training extend to almost every system of the body and every activity of daily living. Here's your starting point, complete with four easy exercises. Strength training is far more than "bodybuilding." Whether you use weights or resistance training, keeping your muscles toned helps you retain muscle mass, muscle strength, and muscle function—all which naturally decline with age. For most middle-aged and older adults, strength training evokes images of young athletes lifting heavy weights in a sweaty gym. That image is reflected in the numbers. Only 21 percent of adults engage in any type of strength training activities. The number is even higher in among women and older adults. The penalty for not doing some kind of strength training is harsh. At some point—probably in our mid-30s—we begin to lose muscle mass, muscle strength, and muscle function. The rate of loss is between 3 and 5 percent per decade. The longer you do nothing, the greater the loss. And the harder it is to get started. The good news: Adults of any age who begin a strength training program will begin to see results in a matter of weeks. And the benefits aren’t limited to strength. Arthritis: A study conducted at Tufts University found that older men and women with knee osteoarthritis had a 43 percent decrease in pain, as well as improved strength, physical performance, and symptoms. Back pain: The American College of Sports Medicine says that strength training is an important cornerstone in both the prevention and treatment of lower back pain. Balance: Strength in the arms, legs, and core muscle provides the foundation for good balance. Studies in England, Germany, Australia, and the U.S. have shown that resistance and balance training increase leg strength and decreased the risk of falls. Blood pressure: The American Heart Association supports strength training to lower blood pressure. Bone health: Strength training rebuilds muscle mass, strength, performance, and bone health. There are other strength training benefits—better body composition, improved symptoms of diabetes, weight management, and even mental and emotional health—but you get the idea. Strength training is not only important, it is absolutely necessary to avoid or delay the effects of aging. People in their 60s, 70s, and beyond have shown improvement in muscle strength and muscle endurance by participating in a simple but consistent resistance training program. But how do you get started in strength training? Go with the program but with certain restrictions. It’s not advisable at this time but may be appropriate at a later date. If you prefer more structured programs, they are available at commercial and public wellness centers. A program called “SilverSneakers” is a fitness program offered through participating insurance plans that gives you access to several thousand fitness centers around the country. Anyone can begin a program at home with little or no equipment, a space to work out, and an exercise guide (like this post or UCLA’s Special Report, Easy Exercises for Strength & Power). Your chest, shoulders, biceps, triceps, and back all benefit from Modified Push-Ups. The least expensive type of strength training equipment is you—your own body. Body-weight exercisers can help any muscle or muscle group gain strength. Modified Push-Ups (for upper body strength) and Toe Raise/Calf Raise (for lower body and leg strength) are examples. 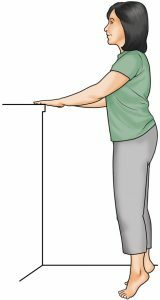 Place your hands shoulder-width apart on the edge of a table desk, or other sturdy object. Move your feet back to position your body at a 45-degree angle. Slowly push your upper body until your arms are fully extended. Begin with four or five repetitions and work up to eight or 10 repetitions. Repeat the sequence two to three times. Strength training isn’t all arms and biceps. Keep your leg muscles and calves toned with sets of Toe Raise and Calf Raise exercises, something you can do almost anywhere. Stand near something for support, feet parallel at shoulder width. Rise up on your toes to a point of resistance and hold for 10 seconds. Return to the starting position and repeat the movement one to two more times. Increase the difficulty by holding the toe raise position for one 30-second stretch. 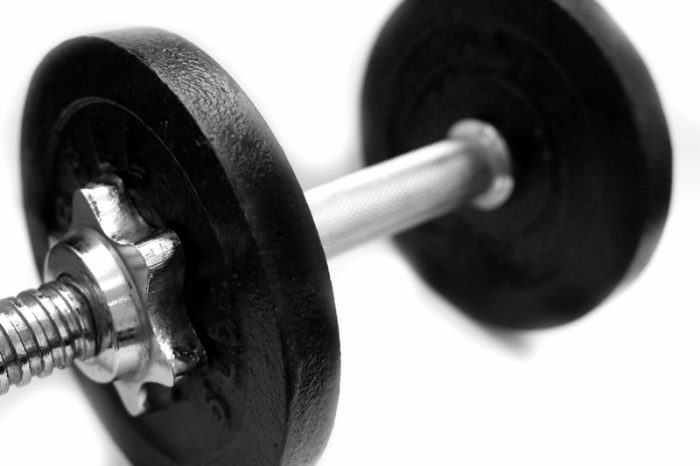 Dumbbells are hand-held free weights (meaning that they’re not attached to an apparatus). Inexpensive and easy to store, they’re an ideal match for beginning strength trainers and older adults. Begin with 2- to 3-pound weights and gradually move up to dumbbells that weigh 5 pounds or more. Dumbbell Curls help your upper-body strength, working the muscles of, for example, your forearms, biceps, and triceps. If you haven’t been working out your arm and leg muscles with weight or resistance training, get started with Dumbbell Arm Curls for arm/shoulder strength and Dumbbell Lunges for lower body strength. Standing or seated, hold a 3- to 5-pound dumbbell in each hand, with your arms down, palms out, and feet comfortably spread apart. Move the weights upward (together or alternately) by bending your elbows. Slowly return to the starting position and repeat the lifts eight to 10 times. Rest for 1 to 2 minutes and repeat the sequence one or two more times. 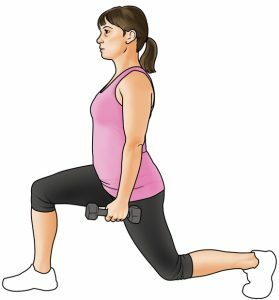 Dumbbell Lunges target everything from the gluteus, hip, and calf muscles to the hamstrings, quadriceps, and abdominal muscles. Hold a 3- to 5-pound dumbbell in each hand. Stand with feet at shoulder width, then take a giant step forward with your right leg and lower your body toward a position in which your upper right leg is almost parallel to the floor. Your left leg and knee should almost touch the floor. Hold the position for 1 to 2 seconds and then slowly return to the starting position. Start with four to five repetitions and gradually work up to 8 to 10 reps, doing two to three sets for each leg. 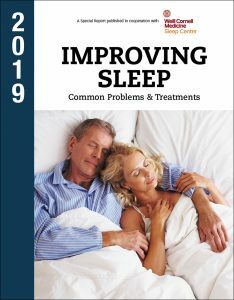 aging, arthritis, back pain, blood pressure, bone, bone health, common health problems, diabetes, emotional health, endurance, exercise, fitness, fitness program, health, health problems, knee osteoarthritis, lower back pain, lower blood pressure, muscle, muscle mass, osteoarthritis, pain, report, strength, strength training, to lower blood pressure, weight management.